If you’re looking to get involved on campus, this is a great opportunity. 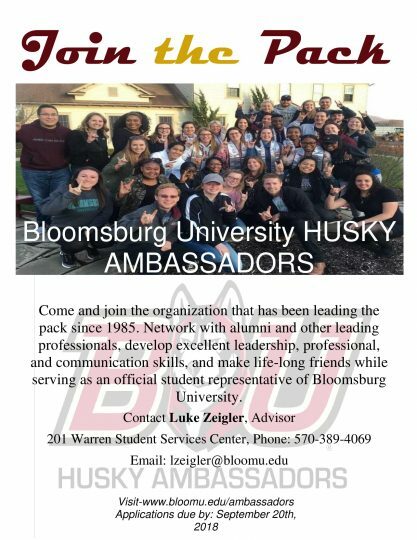 Husky Ambassadors are leaders on BU’s campus. For more information about the organization see their flyer below. Applications are due Sept. 20.